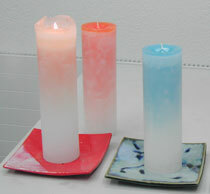 In order to get the best effect, let the candle burn for 3 to 4 hours after first lighting it. 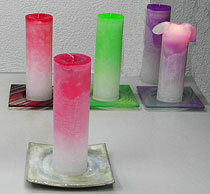 Depending on its geight, a candle will burn between 90 and upt ot 200 hours. After 20 hours of burning, the rim will begin to open. Never leave a burning candle unattended. Keep out of the reach of children or pets. 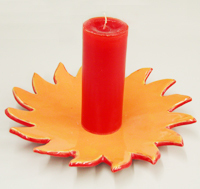 new candles should be placed on a fire-proof support, and kept away from inflammable objects. 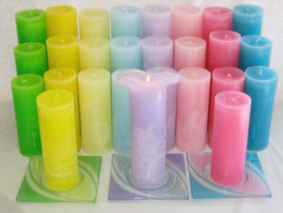 Should teh wax overflow, put out the flame and pinch the opening together in oder to close it; when the wax is solid again, you may relight the candle. 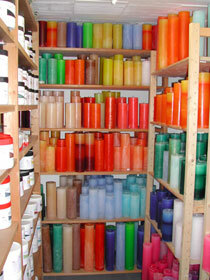 Do not let the candle stand in the sun as it may lose its shape or colour intensity. 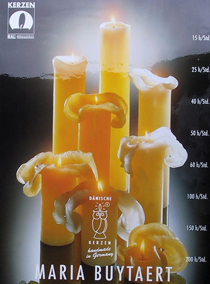 Candles that stand in a draught might not burn dwon evenly. 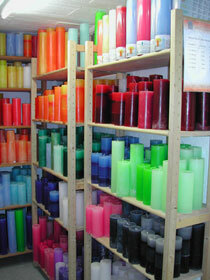 Never forget that the candles are handmade and thus can vary in size and form.